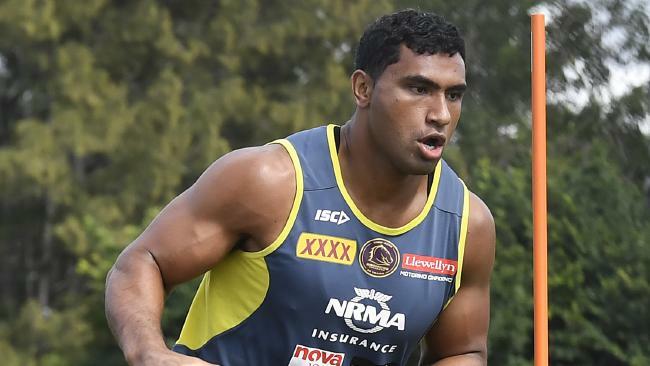 RAMPAGING Brisbane prop Tevita Pangai Jr says he has no plans to quit the club, with the Tongan tearaway revealing his ambition to be a Bronco for life. Ahead of Friday's clash against Wests Tigers, Pangai Jr has revealed how shunning McDonald's and KFC has seen him go from a chubby 127kg to a chiselled 113kg front-row weapon. The 22-year-old is off-contract at season's end and has become one of the most sought-after young forwards in the game after his outstanding opening fortnight in Brisbane's starting pack. Pangai Jr could pocket upwards of $500,000-a-season on the open market but the Tongan international is happy to sign a new deal at Red Hill, praising Brisbane's senior core for helping him ditch junk food. "I want to be a Bronco for life, so I'm going to work hard to do that," he said. "I've tried to stay away from all the takeaway food and worked hard in the pre-season. "I remember one pre-season when I was down in Canberra (former club) and I got up to 127kg. You can't do that being a professional. "Darius (Boyd, Brisbane skipper) is pretty good with his diet and I just watch what he eats and Adam Blair (former Broncos prop) last year. "They were pretty hard on me on my diet. "I used to go hard on the Maccas and the KFC, all the bad stuff. I reckon I could finish a dinner box on my own pretty easily." The Broncos are banking on Pangai Jr's powerhouse charges to counter Tigers hardman Russell Packer tomorrow night and his evolution has not surprised the man who snared him for $1000. Leading Newcastle scout Keith Onslow, the talent identification guru who also spotted Andrew and Matthew Johns, signed Pangai Jr as a 15-year-old in 2011. At the time, he was playing in the centres for the South Newcastle Lions but Onslow suspected Pangai Jr would grow into a high-class forward. "I cried the day he told me he was leaving the club to join Canberra," Onslow said. "I knew he would become a very good player but most importantly he was a wonderful young man. "I will never forget seeing him and Sione Mata'utia (current Knights centre) playing together for Souths Newcastle in an under-17s grand-final. They were two years younger and they were still the stars of the grand final. "Tevita was steamrolling kids older than him and I thought, 'Wow, this kid is special'. 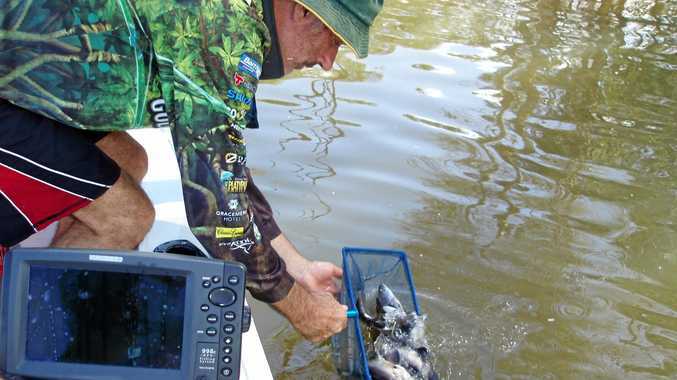 "Tevita worked in development with me as a teenager and he was the best trainee. He was always respectful, he was one of those kids who would walk around the office straightening up papers and getting tissues for staff. He was a joy to work with. 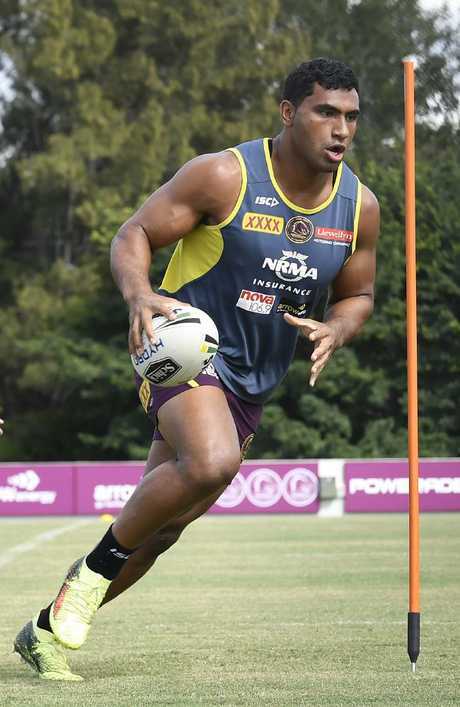 "Wayne Bennett (Broncos coach) has brought him along really well. He is very coachable and I always knew he would be a great asset for the Broncos on and off the field."